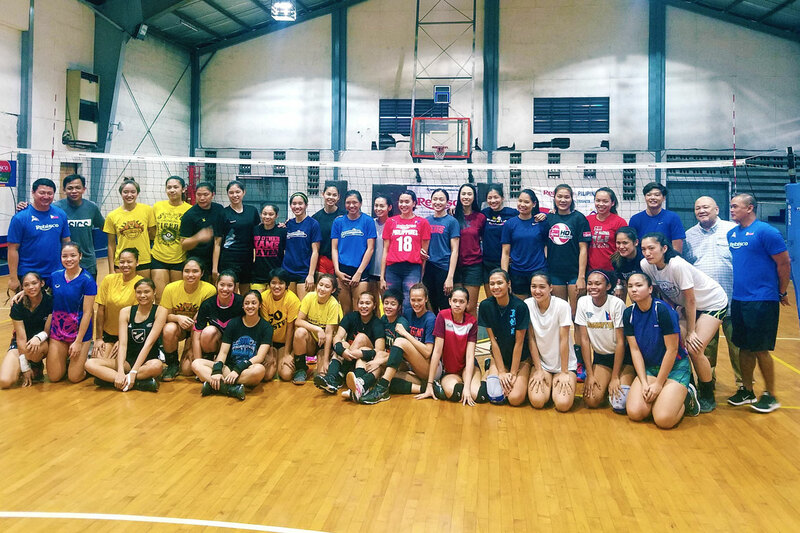 With 2019 set to be a busy year for international volleyball, the Philippine Women’s National Team had a good omen as 37 players flocked their first tryout for 2019. Among the 37, members of the original pool established in 2018 attended – namely Aby Maraño, Alyssa Valdez, Mika Reyes, Denden Lazaro, Jia Morado, Kianna Dy, Majoy Baron, Dawn Macandili, Cha Cruz-Behag, Ces Molina, Jema Galanza, Risa Sato, Aiza Maizo-Pontillas, and Mylene Paat. The seniors squad, who will to compete in the Southeast Asian Games and Asian Seniors Championship, had several key members such as Kalei Mau, Remy Palma, Janine Navarro, Ria Meneses, Jerrili Malabanan, and Kyla Atienza. There were also a large contingent of up-and-coming stars who will likely make up the team sent to the Asian U23 tournament. De La Salle-Zobel standouts Angel Canino and Alleiah Malaluan; incoming University of Santo Tomas Tigress rookie Eya Laure; and University of the East veterans Kath Arado and Mary Anne Mendrez were among the top young talent in attendance. Although there will be no subtractions from the already-established pool, National Team head coach Shaq Delos Santos emphasized that everyone will have to earn their spot in the future rosters. “‘Yung mga magiging line-up naka-depende sa performance nila sa trainings and sa mga sasalihin namin na tournament,” said Delos Santos. Also present in the meet was LVPI president Peter Cayco.